Now in a handy take-anywhere size, perfect for your changing bag or to keep in the car. 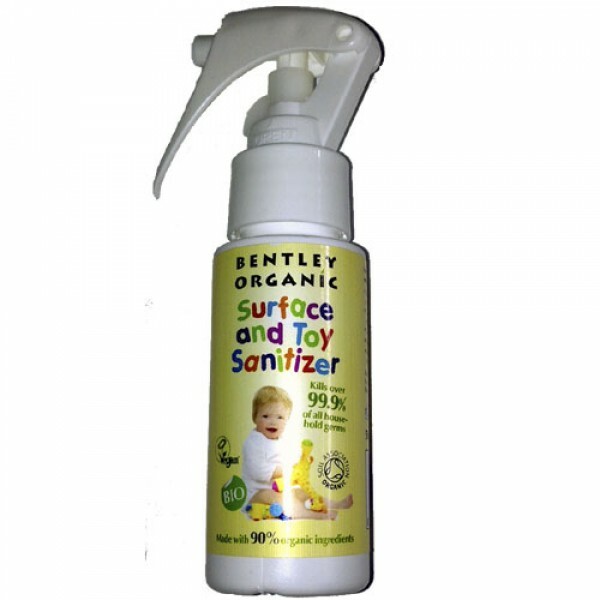 A Soil Association Certified Organic Toy Sanitizer made with 90% organic ingredients and kills over 99.9% of germs. It's free from harmful chemicals and is environmentally and child friendly. Contains natural antibacterial agents. Cleans all hard washable surfaces. It is readily and rapidly biodegradable. It leaves your childrens toys and play things hygienically clean and sparkling. Turn lock beneath nozzle to open position. Spray directly on to hard surfaced baby toys with full trigger strokes. Leave for 30 seconds before wiping with a clean cloth.